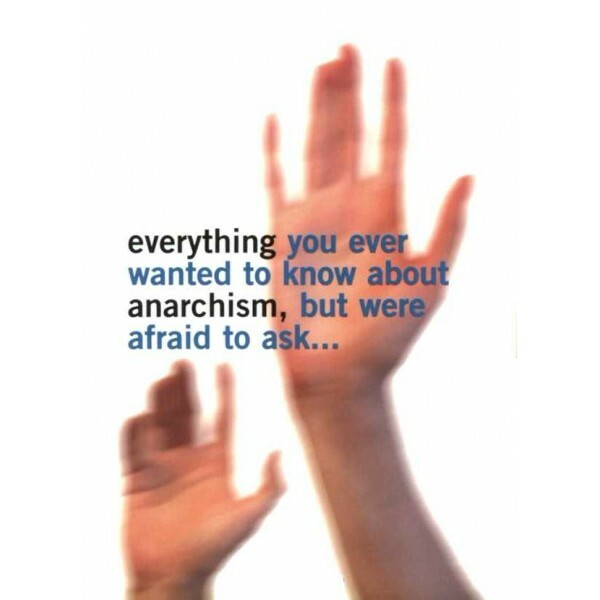 This classic statement of anarchism was written by a diverse group of anarchists in Cardiff around 1980 and it remains a testimony to the timeless relevance of anarchist ideas. The alleged necessity of authority is so firmly planted in the average mind that anarchy, which means simply 'no government' is almost unthinkable to most people. The same people, on the other hand, will admit that rules, regulations, taxes, officiousness and abuse of power (to name but a few) are irritating to say the least. These things are usually thought to be worth suffering in silence because the alternative - no power, no authority, everybody doing what they pleased - would be horrible. It would be anarchy. Yet there are a limitless range of possible societies without the State. Not all of them would be unpleasant to live in. Quite the contrary! Any kind of anarchist society would at least be spared the horrible distortions the State produces. The 'negative' side of anarchism - abolition of the State - has to be balanced against what replaces it - a society of freedom and free co-operation.